1 fixed and 2 removable transparent storage compartments in its lid for excellent organisation. 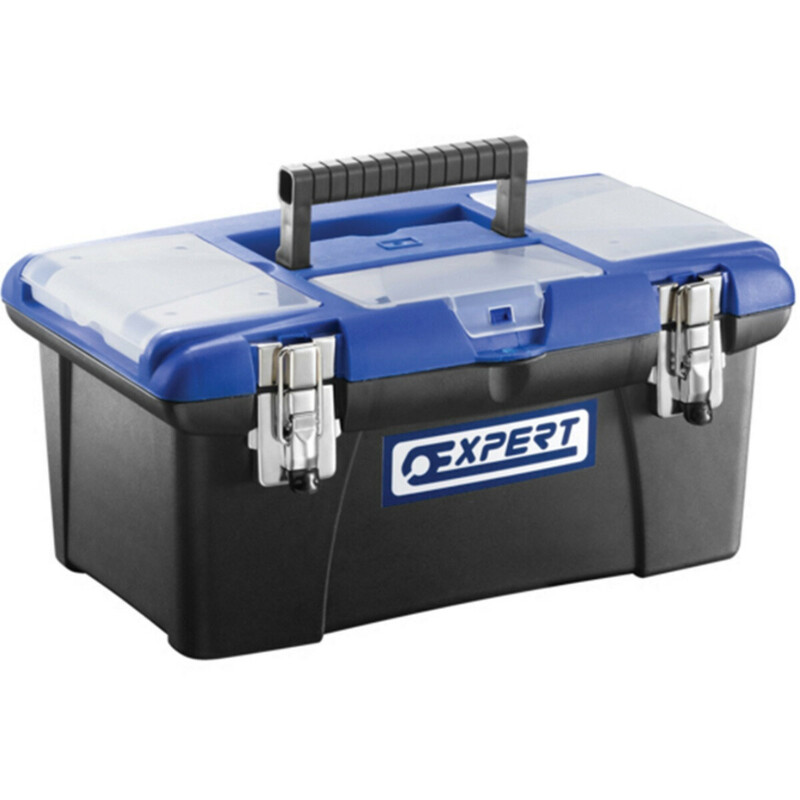 Removable plastic tool tray and 2 rust-resistant metal latches, which can be padlocked (padlocks not supplied). Easy-grip handle folds flush to the lid.